The 12th London Design Festival is just coming to an end this late September, and there was plenty to see and do in our Capital both this and last week. Embracing all the major trade shows, 100% Design at Earls Court, designjunction at the Old Sorting Office, Tent, Superbrands, Focus/14 at the Design Centre, Chelsea Harbour and Decorex, held this year at Syon Park we weren’t short of some interiors inspiration. Not to mention all the different pockets of London hosting their own festivals and exhibitions including, Clerkenwell Design Quarter, Chelsea Design Quarter, Brompton Design District, Shoreditch Design Quarter and the pop ups close to us in Brixton. No matter which side of London you live on, you were never far from some form of creative hub. 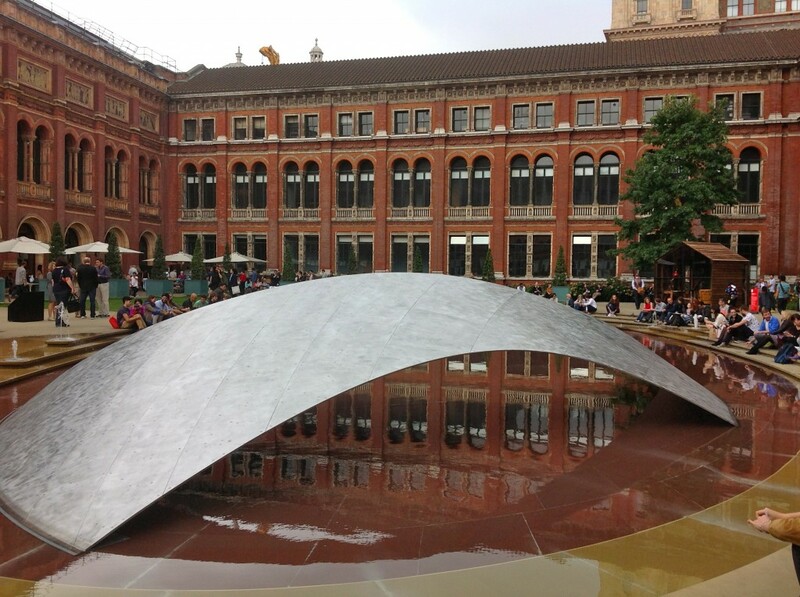 Last weekend I headed over to the V&A and to The John Madejski Garden. A new structure entitled Crest, by Zaha Hadid, comissioned by Melia Hotels has provided an engaging feature across the garden pond. Following the LDF, the piece will make it’s way to the ME Hotel in Dubai. Sir Terence Conran and Benchmark Furniture teamed up with the American Hardwood Export Council (AHEC) and invited 10 illustrious names in design and architecture to each nominate an emerging talent to collaborate on a open brief: ‘What have you always wanted in your home, but never been able to find?’. 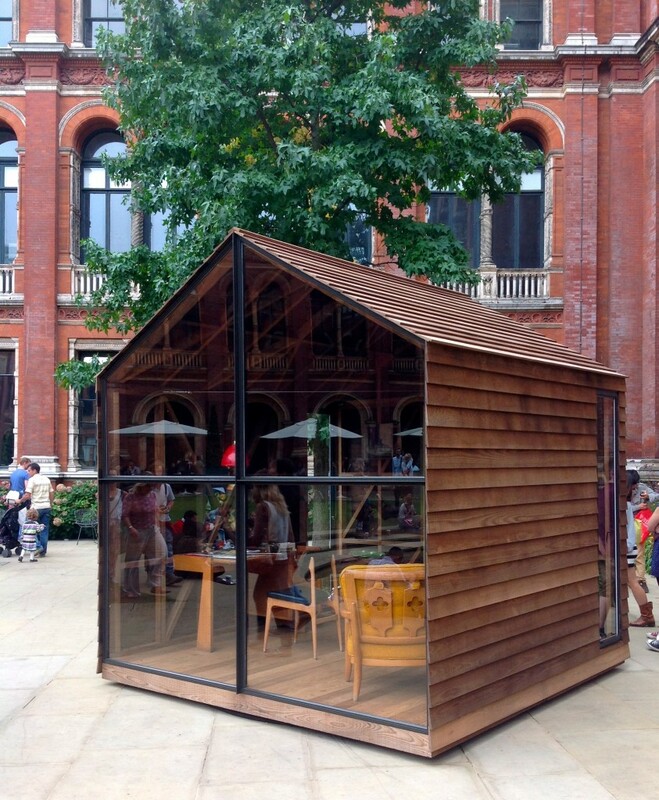 The full exhibition is in the museum but the the final object in the series has been displayed in the museum garden, a shed designed by Nathalie de Leval commissioned by Paul Smith. The shape is inspired by Luis Barragán’s sharp architectural style. One wall is made solely of glass and the entire shed is mounted on a revolving platform, so it can follow the sun throughout the day. 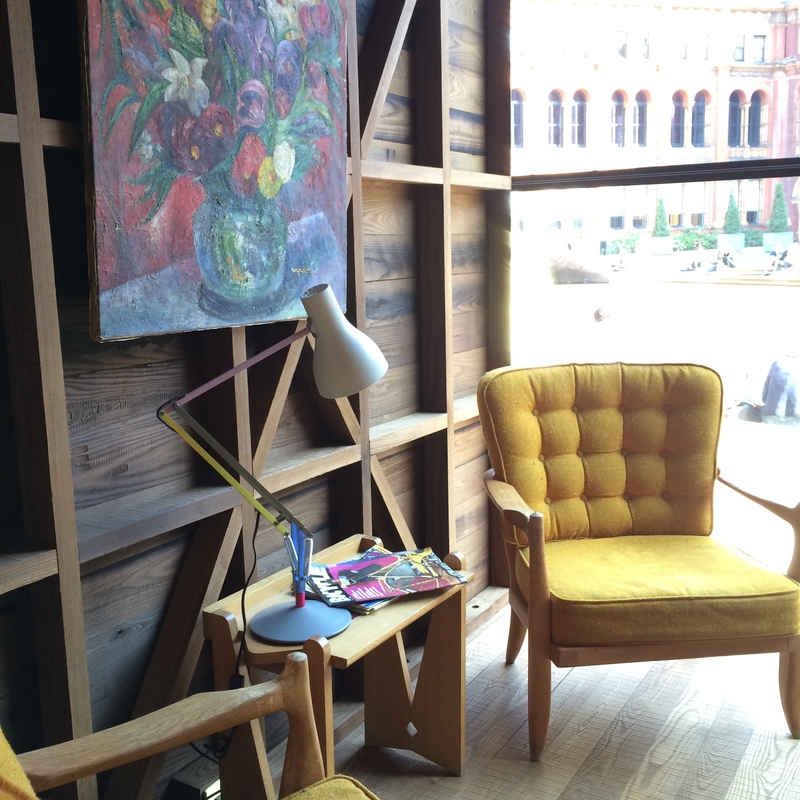 I love the Paul Smith for Anglepoise lamp below don’t you? The V&A is the festival hub for the 6th year and plays host to some of the most striking installations and exhibitions. I was particularly struck with this installation. A collaboration between Edward Barber and Jay Osgerby (the designers of the Olympic Torch) and BMW. Entitled ‘Double Space for BMW – Precision & Poetry in Motion’. 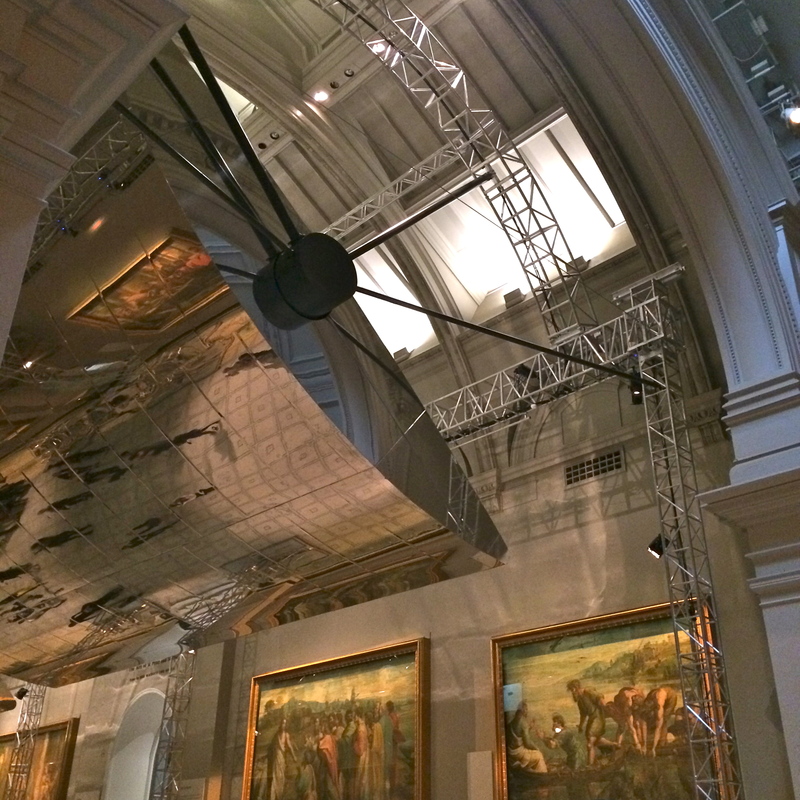 The installation is housed in the V&A Raphael Gallery, two reflective structures are suspended in the centre of the gallery. The choreographed movement of the giant pieces reflect and distort the view of the Raphael paintings on display. If you just find yourself a corner in the gallery and take 15 minutes, you’ll find yourself mesmerised by the movement of this overwhelming piece. Continuing our weekend adventures we arrived at Design Centre Chelsea Harbour. A place we know well, the harbour is always transformed during their annual Focus/14 trade exhibition. At over 145,000 sq ft, you’re never short of sourcing what you need. One of Europe’s premier design destinations. 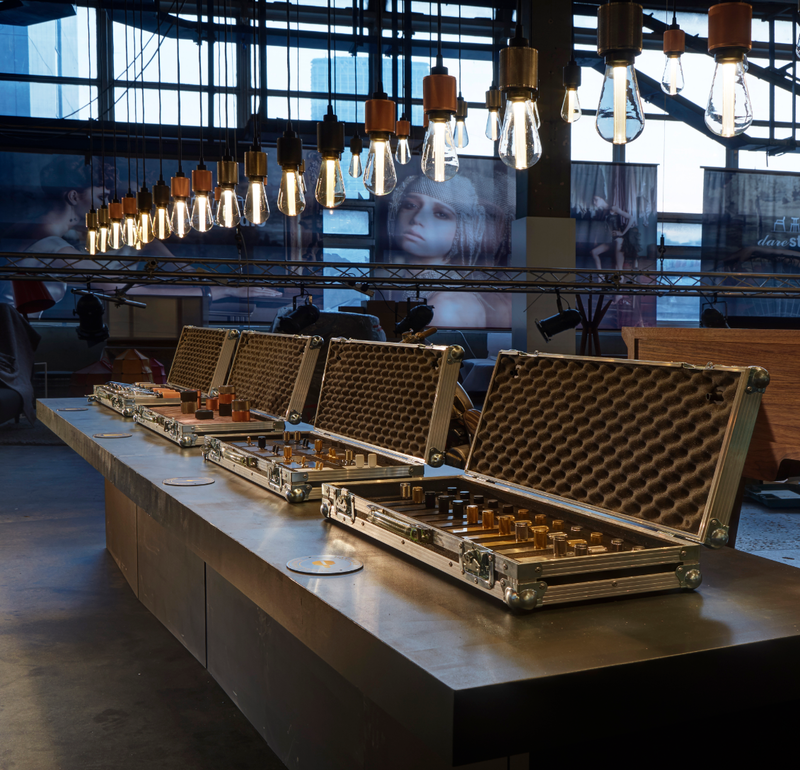 Individual events, workshops, talks and forums allow for exciting exchanges between fellow designers and brands. 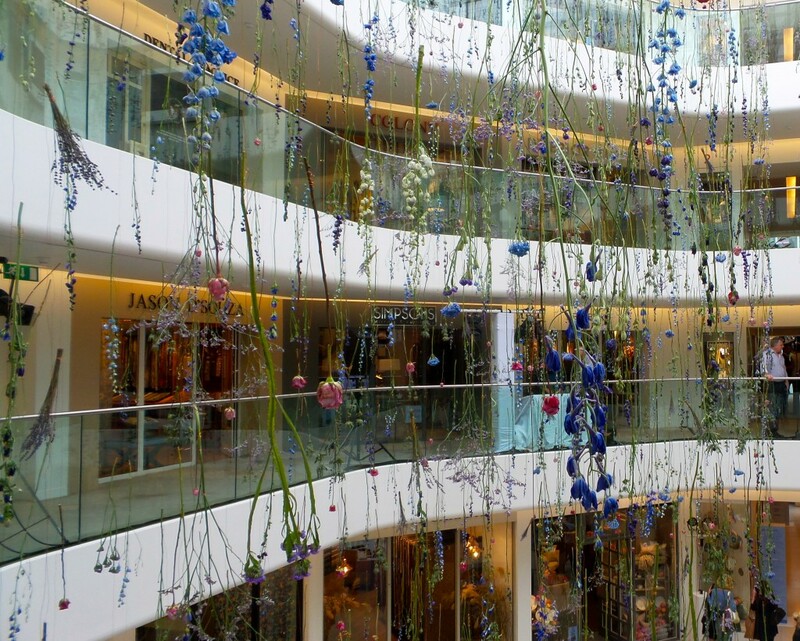 Also one of the most striking elements of Focus this year is this specially commissioned installation by floral artist Rebecca Louise Law, below. 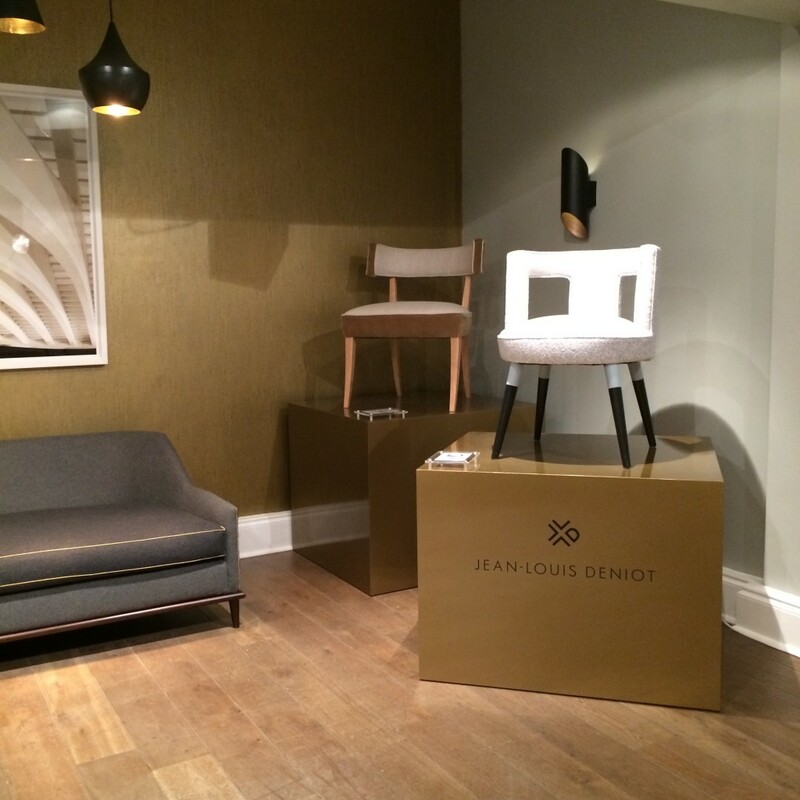 Design Week also saw the unveiling of the new Jean-Louis Deniot for George Smith at their showroom on the New Kings Road. 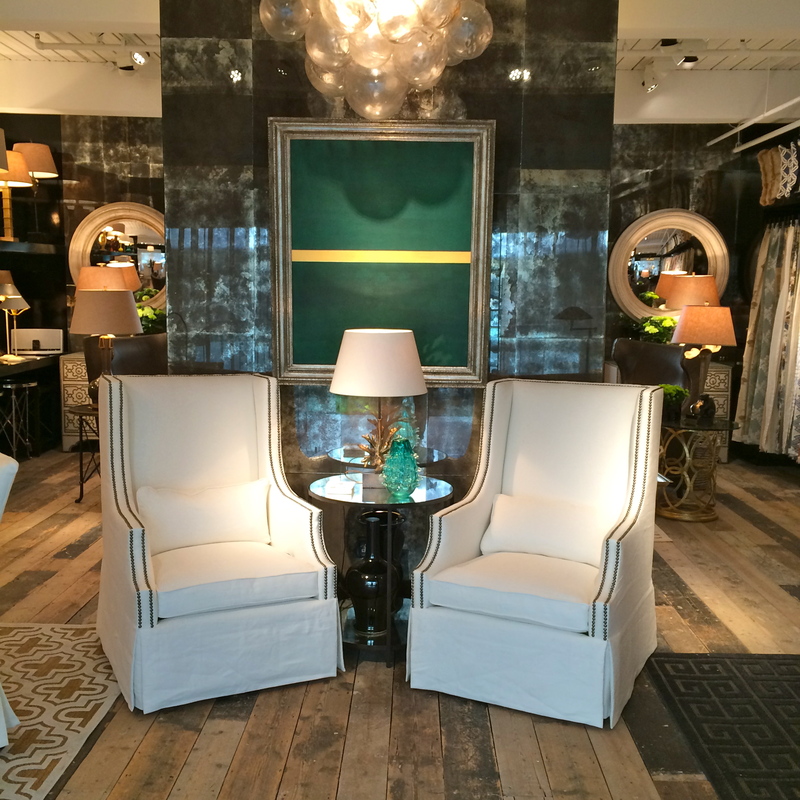 His debut collection sees the launch of a nine-piece collection of sofas and armchairs. Inspired by neoclassicism, the collection exudes feminine lines and elegant curves, the intricate detailing and finishes make for a very beautiful collection, I could certainly see myself specifying some of the designs. 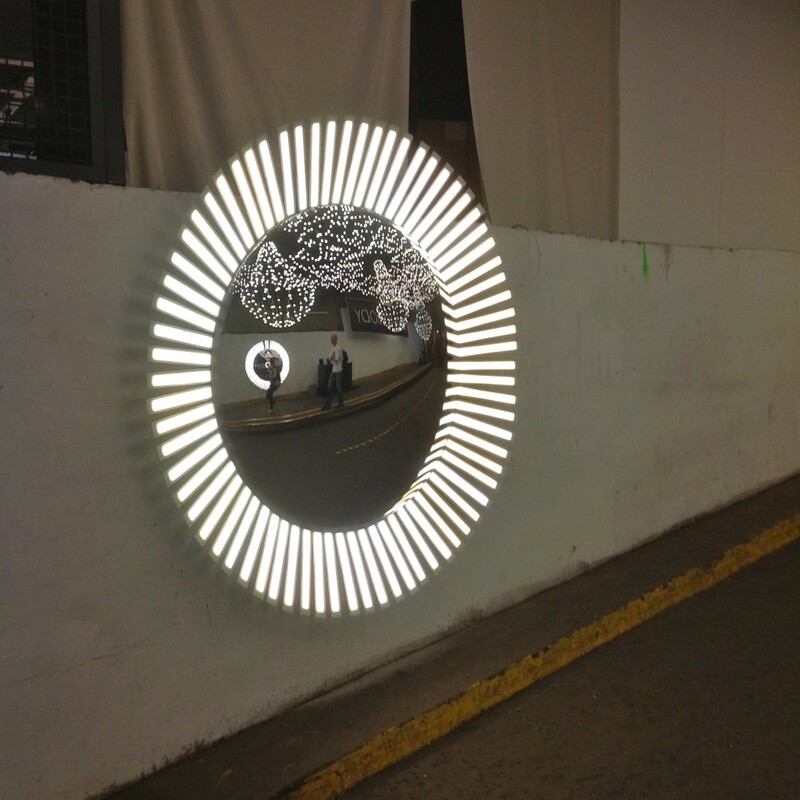 Another fab trade shows is designjunction held at the Old Sorting Office in Holborn. The 4th edition of the show, spanning 4 enormous floors and presenting nearly 200 amazing brands and exhibitors, new design graduates appear alongside American, and Scandinavian brands. 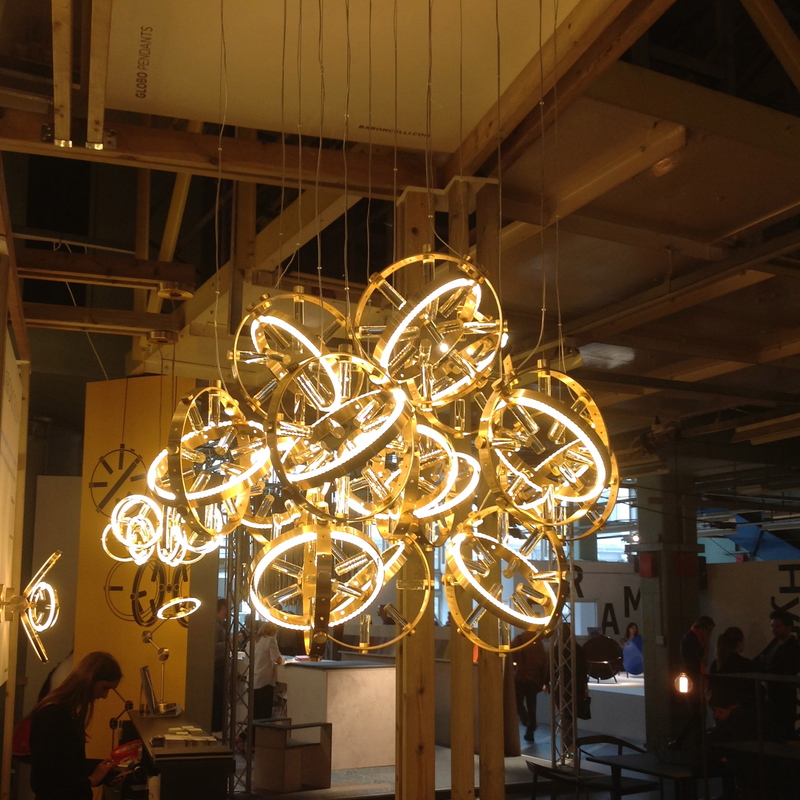 We loved seeing the new designs at Orsjo, Angelpoise, Blackbody, Hem, CTO Lighting, Rothschild & Bicker and Zanotta. Buster & Punch (above and below) first caught my eye a couple of years ago at Clerkenwell Design Week. A London based interiors brand, the company design and make an incredible collection of hardware, lighting and limited edition of furniture and unique objects. 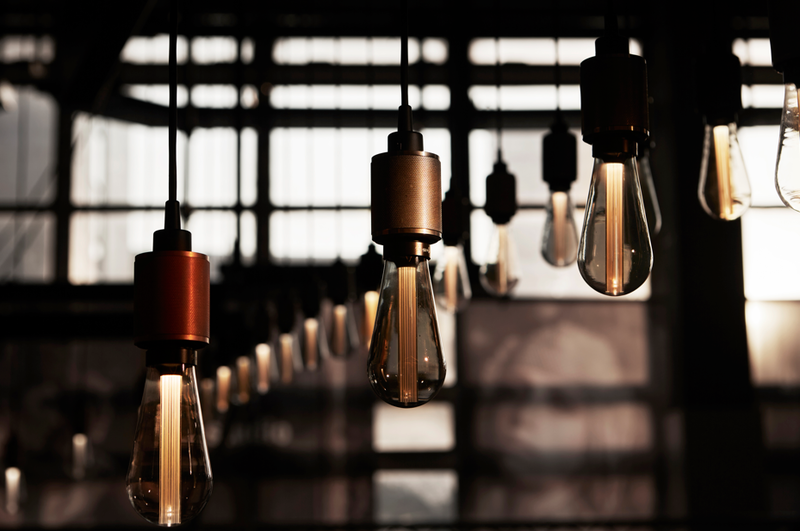 Debuting their new lighting series below, we just love these new bulbs they have designed. Their hardware above is pretty special too. Since popping into Baroncelli at the D&D Building during New York Design week where we had a sneak peek of their new collections, Baroncelli have moved into a very strong new design direction. 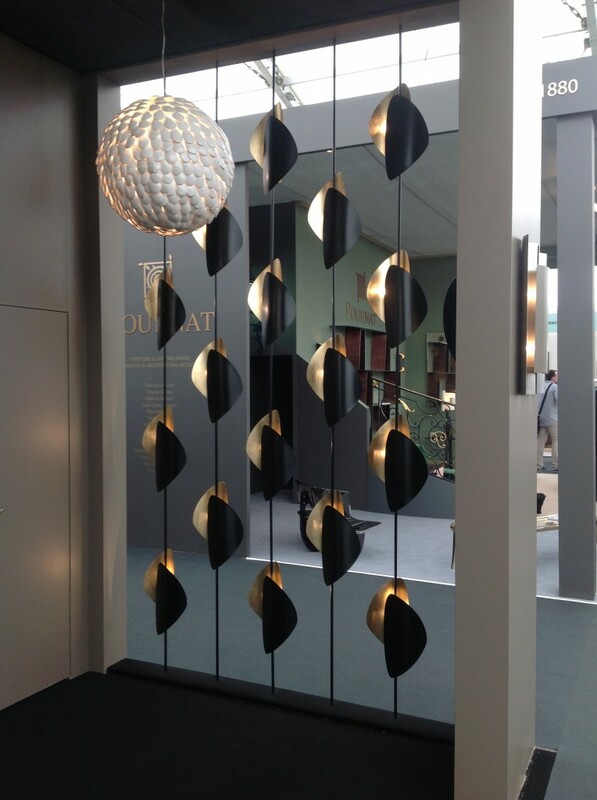 This Satin Gold and Cristallo Rod pendant installation was magnificent. 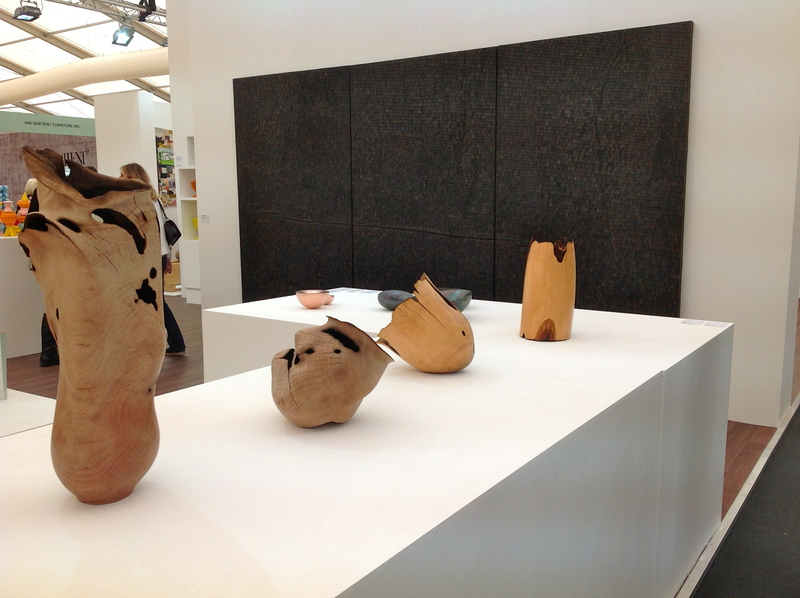 Another day, another show, and we made it to Decorex this year at Syon Park. At this beautiful new venue (a change from the previous years at the Royal Hospital Chelsea) leading designers and brands showcase new collections, host talks and workshops for us to expand our knowledge and source new ideas. We were particularly drawn to Art et Floritude below. 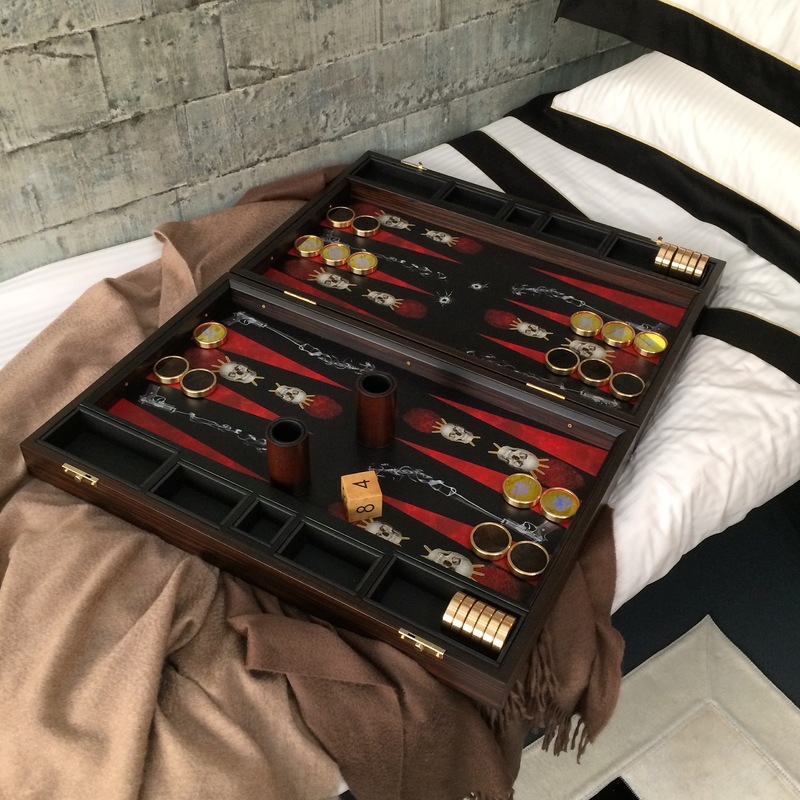 Harlequin offered a fun stand this year including this jail cell room set complete with this Criminal Backgammon Board by Alexandra Llewellyn. 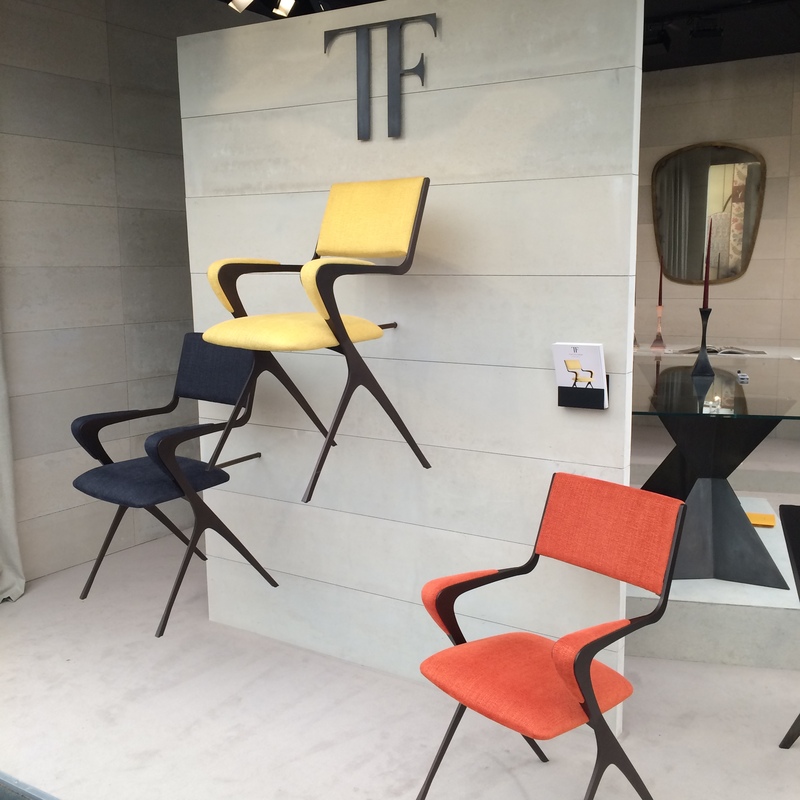 Some fab new chair designs by Tom Faulkner. So there we are, just a few highlights from our travels over this past week or so.